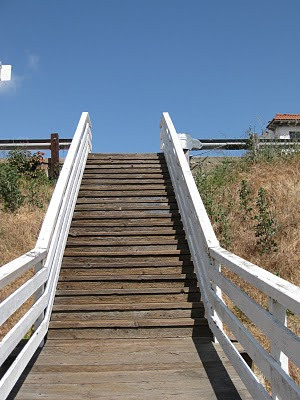 I've always love bridges, and this is a favorite of mine. 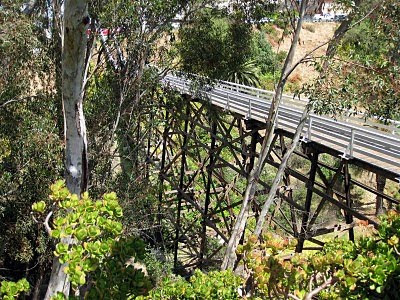 It's a wooden bridge, spanning a canyon, in San Diego in the Hillcrest neighborhood. Looking down, from 4th Street. From the top of the canyon, on 3rd Street, a sideways view. This bridge was built over 100 years ago. Oh it is very pretty. you did a great job photographing it. 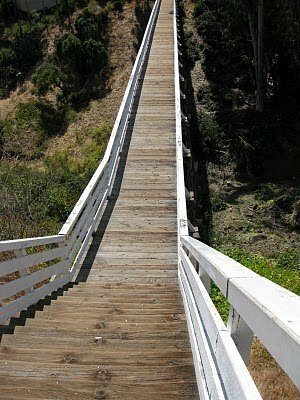 I'm not so sure i would want to cross it though...especially after you told is it was built over a hundred years ago. This is lovely! 100 years old? Is it still safe? Re your comment on Ocala DP - why "Tsk, tsk"?